From New International, Vol. 6 No. 3, April 1940, pp. 68–72. In bourgeois-democratic circles, these events furnished the occasion for more pious homilies about the identity of communism and fascism. In the labor movement, the patriots skilfully exploited the workers’ indignation against Stalin’s crimes in order to promote the cause of the democratic warmongers. Among the revolutionary Marxists, however, the events provoked an intense and thoroughgoing discussion, resulting in a re-evaluation of the role of the Soviet Union in the war and in a revision of the traditional slogan of the Fourth International, “For the unconditional defense of the Soviet Union.” It is with this discussion that the present article is concerned. Why Must We Change Our Position on “Unconditional Defense”? The Soviet Union, existing on the basis of state property and dominated by a counter-revolutionary bureaucracy, is a degenerated workers’ state which must be defended (by internationalist, class methods independent of those employed by the bureaucracy) in any war with a capitalist power, regardless of which side appeared to be the “aggressor” and regardless of the immediate cause of the war. This defense is “unconditional” in the sense that it is not conditioned on the abdication or overthrow of the Stalinist bureaucracy, or even upon its acceptance of a revolutionary policy. The Soviet Union must be defended in a war with a capitalist power not because of the Stalinists but in spite of them; must be defended, however, with our own independent policy which is aimed, among other things, to overthrow the bureaucracy because we have no faith in its ability to organize an effective defense of the Soviet Union. Should the Soviet Union, in a war against one or more capitalist powers, find itself in alliance with one or more other capitalist powers, the slogan of defensism retains its full validity, just as the slogan of defeatism retains its validity both in the countries Russia is allied with and at war with; the only difference in policy in the two capitalist countries would be tactical and practical (for example, we would not oppose the shipment of munitions to Russia from the factories and ports of one of its capitalist allies). Why is it necessary to revise this point of view, it is asked, above all now, when the war has actually broken out? Is it because Stalin has allied himself with a fascist imperialism instead of with a “democratic” imperialism? Can Marxists allow themselves to make a fundamental distinction between the two? And if such a distinction is made with respect to alliances with the Soviet Union, does it not imply a patriotic position towards the “democracies” with respect to their war with Germany? What, in a word, has changed so fundamentally as to justify a change in our position on the defense of the Soviet Union? The change which the Marxists must make in their position has nothing whatsoever to do with all the petty-bourgeois lamentations over Stalin’s shift from “democrats” to fascists. While allied with France, Stalin was already allied, at least indirectly, with a number of totalitarian regimes and military dictatorships in the orbit of French imperialism. The alliance of the notorious butcher Chiang Kai-shek with the equally notorious butcher Stalin does not eliminate the duty which every revolutionist has to defend China from Japan. The change in position is dictated by far more profound and real considerations. What are these concrete realities? The 1935 Pact with France was a defensive alliance for the Soviet Union. It was directed against a rising and truculent German imperialism but it was calculated essentially to maintain the status quo, to keep Germany from precipitating war. The status quo policy of People’s Frontism was adopted by the Comintern in accordance with this objective. Stalin’s capitulation to Hitler in 1939 took the form of an aggressive military alliance. This is precisely what was not foreseen or allowed for by us in the past, as Trotsky himself acknowledged at the beginning of the war. In general, it is true, the possibility of a rapprochement between Hitler and Stalin had been envisaged in our literature, but not an aggressive military alliance. The difference between the two pacts does not lie in the fact that one was made with such an illustrious democrat as Pierre Laval and the other with an undemocratic fascist. It lies in the real difference between the two imperialisms, French and German. This difference is in no wise of such a fundamental character as to warrant supporting one against the other, in the manner of the war-mongering social-democrats. But it is sufficiently important to change the character of the alliance made by Stalin. In the past, too, it was sufficiently important for us to distinguish between Hitler and Laval, not fundamentally, not so far as their social role is concerned, but to the extent of characterizing Hitler and not Laval as the “super-Wrangel”, that is, the spearhead of world imperialist assault upon the Soviet Union. This difference was not based upon a feeling of tenderness on the part of Laval for Russia, but upon the fact that German imperialism, for a series of historical reasons, was dynamically aggressive and forced, in the most immediate and direct sense, as Hitler himself has said, to “expand or die” (just as England, for example, is forced to hold on to her empire or die). The role of the Soviet Union can be followed and understood only if one is clear about the predominant character of the war. It is not a war of imperialist attack upon the Soviet Union; it is not a “mixed war”. It is a war between two big imperialist camps for the redivision of the world, with the Soviet Union as an integral part of one of the imperialist camps. The strategy of the imperialist camp to which Stalin is subordinated, is fairly clear. It is to keep all sides of Germany protected by herself and her allies, to confine the front to the comparative safety of the Westwall-Maginot lines; to destroy the British Empire for the benefit of the Rome-Berlin-Moscow axis, primarily for the Berlin section of it. Stalin’s role in the war, from the very beginning, has been that of auxiliary executant of this strategy. Hitler did not descend upon Poland until he had assured himself not of Stalin’s neutrality but of Stalin’s active support. Poland was defeated and partitioned jointly and by pre-arrange-ment, with Hitler, in accordance with the real relationship of forces between the partners, getting the lion’s share and Stalin the jackal’s. The work of covering Hitler’s eastern flank from possible attack by the Allies or their vassals, was then completed by Stalin’s invasion and subjugation of Latvia, Lithuania and Estonia. Far from meeting resistance from Hitler, Stalin was encouraged to proceed along the indicated line in order that Germany might have at its Baltic rear governments no longer subject to the manipulations of Anglo-French imperialism but sterilized governments kept in escrow for him by his friendly sub-partner of the Kremlin. Of the same order and in accordance with the same imperialist strategy was Stalin’s invasion of Finland, presented to us so cynically by the Stalinist press as a “defense of the Soviet Union from imperialist attack” and characterized so naively by the Socialist Appeal in the same terms. Whoever did not understand the real meaning of the Finnish invasion at the time, should surely understand it in the light of subsequent events. The middle-class journalistic muttonheads who still talk about Hitler being Stalin’s captive in the pact, sought to present the invasion of Finland as a “blow at Germany”. The truth is just the opposite. Hitler wanted Stalin to invade Finland and Trotsky is without doubt right in saying that Berlin “obviously pushed” Stalin towards Helsinki. Why? For two reasons which are really one. In the first place, the action involves Stalin more deeply in the war on Hitler’s side. In the second place, the occupation or subjection of Finland was needed by Germany as the first step towards closing to the Allies a northern front they were seeking to open against Hitler. Only after Stalin had crushed Finland and enormously weakened Sweden, did Hitler feel able to take those brutal and decisive measures which are calculated to guarantee his northern flank. Denmark and Norway fell to German instead of to Anglo-French imperialism only because Finland fell to Germany’s partner. It goes without saying that if Hitler consolidates himself in Norway (as he appears to be doing at this writing), the fate of Sweden, hemmed in between Hitler and Stalin, is a foregone conclusion. Thus, in two big moves, Hitler, with the Soviet Union at his orders, has succeeded in doing what the Kaiser and Hindenburg were unable to do in the first World War: to confine the conflict to a momentarily “defensive” war of position on a single well-protected front, the West. With Stalin’s aid, Hitler has fairly well assured his eastern, northeastern and northern flanks. With Stalin’s aid – today in the form of a threat, tomorrow in the form of active military intervention – he is assuring his southeastern flank, in the first place in Romania. The day after, it is not at all excluded that Germany, Italy and the Soviet Union will be fighting jointly for the “defense of the Soviet Union” in the southeast and the Near East – in actuality, for the partitioning of the Balkans and the Near East among the members of the Rome-Berlin-Moscow axis. What the Moscow Izvestia said about Hitler’s invasion of Norway, really holds true here: War has a powerful logic of its own. Alongside of this parallelism of military action, there is a corresponding parallelism of political agitation. Moscow echoes every claim of Berlin, every diplomatic lie, every self-justification. The same “war-guilt” explanation is given by both. The diplomatic offensives which precede military action are carefully synchronized in both capitals. The Stalinist parties, it goes without saying, do their part loyally for the Axis, concentrating all their attacks upon England and France, to the exclusion of Germany. In the colonies Hitlerite and Stalinist agents, whether by formal agreement or by the internal logic of their war alliance, conduct a harmonious campaign for the “liberation” of the oppressed peoples from Anglo-French imperialism (that is, for subjecting them to the yoke of the Axis). This is what the participation of the Soviet Union in the war looks like in reality. Under these conditions, the slogan of “unconditional defense of the Soviet Union” is tantamount to giving objective political aid to one imperialist camp against another. It is therefore imperative that the slogan be radically altered to read “defense of the Soviet Union in a progressive war”. Wherein is Russia’s participation in the war reactionary? In two respects: (1) it is acting primarily as agent of German imperialism in the war; (2) it is itself fighting a war of bureaucratic expansion, of subjugation and oppression of other peoples. From these follow the reactionary social and political consequences of its participation in the war: instead of the class consciousness of the workers being heightened, their bourgeois-patriotic feelings are intensified; instead of being brought closer to the revolution, they are driven into the arms of their own ruling class, and not the most liberal sections of it, at that (Poland, Finland); instead of becoming more sympathetic towards the principles and achievements and defense of the Russian Revolution, they become more antipathetic towards them; instead of advancing the interests of the world revolution and weakening world imperialism, the participation of the Soviet Union in the present war retards enormously the former and strengthens enormously the latter. The two respects in which Russia’s war is reactionary are not contradictory or mutually exclusive. In the partnership of the Pact, Stalin is very much the subordinate; it is indeed quite accurate to say that the Stalinist bureaucracy capitulated to Germany in the hope (a) of buying itself off from an immediate attack by Hitler upon the Soviet Union and (b) of escaping complete involvement in the world war. The first hope has been realized, of that there is no doubt But it has been realized precisely at the expense of the second hope. The very conservatism, the provincial pacifism, the timidity and national-narrowness that have characterized the Stalinist bureaucracy, are precisely the forces that drag it deeper into the war as a tool of one of the imperialist powers. It is no mere literary paradox but a political fact of primary importance that the very fear of war which has dominated the course of the Stalinist bureaucracy has lead it progressively further into war. Not less important is the fact that while serving as an agent of a big imperialist power, the Kremlin bureaucracy pursues an imperialist (expansionist) policy of its own. What Do We Mean by Stalinist “Imperialism”? Is the imperialist policy of the Kremlin of the same nature as the imperialism of Germany, Japan, France, England and America? No, for it has different origins, different bases, different paths of development Is it based upon the dominance in economy of finance capital, the export of capital and other characteristics of modern imperialism, we have been asked with misplaced sarcasm? No, it is an imperialism peculiar to the Stalinist bureaucracy in its present stage of degeneration. What is the nature of Stalinist oppression in the Soviet Ukraine? In that country, the Fourth International has added to the general, “All-Soviet-Union” slogan of a political revolution against the bureaucracy, the special slogan of the independence of the Ukraine. We not only insist on the Ukraine’s right to separation from the Union, but we advocate its separation. This position, especially applied to the Ukraine, has meaning only on the condition that the Ukraine suffers under national oppression. And what is the nature of this national oppression? We characterize it as a type of imperialist oppression peculiar to the Stalinist bureaucracy. In the U.S.S.R. in War (Sept. 25, 1939), Trotsky wrote: “We do not entrust the Kremlin with any historical mission. We were and remain against seizures of new territories by the Kremlin.” It would be more accurate to say, “We are against seizures of new territories by the Kremlin,” for the simple reason that the question of Stalin seizing new territories was never raised in our movement for either an affirmative or negative reply. That is, we never envisaged the possibility of a war of bureaucratic expansion. Now that we see both the possibility and reality of such a war, we declare our opposition to it Why? We did not oppose “seizures of new territories” under Lenin (Georgia, 1920). We oppose them now because the Stalinist war of expansion, which we are today compelled to see as a reality, is reactionary, because, as Trotsky rightly says, we do not entrust the bureaucracy with any historical mission, and because we oppose the national oppression of new millions under the imperialist yoke of the Kremlin. The Stalinist bureaucracy, we were told in the party discussion, is not imperialist, but an agent of imperialism. Bat that is true, in a sense, also of the imperialistically-corrupted labor aristocracy of the great capitalist powers. This aristocracy profited directly from the imperialist advancement of the bourgeoisie, although at the expense of the broad masses of the toilers. It is quite accurate to describe it as an imperialist labor aristocracy. The Stalinist machine is a labor aristocracy raised to the nth degree, to a new and unheard-of power. Naturally, its ambitions, hopes, appetites are limited, not merely by the economic base on which it rests, but above all by its subordinate position in world politics and economics. This “agent of imperialism” has its own imperialist aims and ambitions. These aims do not have, let us repeat, the same roots as British imperialism, but they exist. The Stalinist bureaucracy is not averse to acquiring oil wells in the Western Ukraine, copper and nickel mines in Finland, stocks of goods however modest, skilled and semi-skilled workers in occupied territories, and – far from least important – a wider basis for the extension of its bureaucratic power (at least a million hard-boiled Stalinist bureaucrats will be placed in power in the occupied East-Polish territories, inhabited by some 13,000,000 people). The other arguments of the proponents of the traditional policy, are contradictory and untenable. “We condemn the invasion but we remain for the defense of the Soviet Union,” that is, for the victory of the Red Army, they say in connection with Poland or Finland. They condemn the invasion, but support the invaders! They are against seizures of new territories by the Kremlin, but support those who are fighting to seize them! They are against the invasion before it takes place; they are against it alter it has succeeded (once Stalin is triumphant, they will raise the slogan of an independent Soviet Finland); but they are for the invasion (for the victory of the Red Army) while it is taking place. What is called an “episode” today is indeed an integral episode of the development of the second imperialist World War, in which the Soviet Union is fighting primarily the battle of German imperialism. The present war may be transformed, at a later stage, into an imperialist war against the Soviet Union, in which case it will be the duty of the international working class to defend the Soviet Union even under Stalin. But it is absurd to apply to the war today the policy applicable to the war into which it may be transformed. A concrete analysis of the given instance shows – it is imperative to repeat this time and again – that the Soviet Union under Stalin is participating in the present war as an integral part of one of the two imperialist camps. To defend the Soviet Union in this war, i.e., to be “the best soldier in the Red Army,” to fight for its victory wherever it marches, means, objectively, to work for the victory of one imperialist camp against the other. “It is not Stalin we are defending, but the remaining conquest of October – nationalized property.” In the present war, the nationalized property of the Soviet Union is not what is primarily involved. What is at stake is the world dominance of Anglo-French imperialism on the one side, and the imperialist ambitions of German imperialism and the concern for “power, prestige and revenues” of the Stalinist bureaucracy on the other. In a war between Daladier and De la Rocque the fascist, bourgeois democracy would be at stake; the trade union bureaucrats supporting the democratic side would be participating, whatever their motives or methods, in a progressive war against fascism. In a war between Daladier and Hitler, bourgeois democracy would not be at stake but rather the respective imperialist interests of France and Germany; the trade union bureaucrats supporting Daladier on the basis of desiring to defend the French trade unions from Hitlerism, would be participating – again regardless of motives and methods – in a reactionary, imperialist war. The corollary argument that Stalin did, after all, nationalize property in the occupied territories is no more valid for the thesis of support of the Red Army. In the first place, property relations remain intact in Latvia, Lithuania and Estonia, so that the Soviet Union is in the unique position of commanding three capitalist colonies, or rather semi-colonies. In the second place, the fact that property was nationalized in Western Ukraine and Southern Finland only means that the proletariat in conquering those territories (as in the Soviet Union itself) would proceed from this new reality in its struggle to overthrow the Stalinist regime, that is, it would base itself upon statified property and give it a genuinely progressive, i.e., socialist significance. It does not have it in and by itself and under all circumstances. Arab or Irish nationalists might utilize, for their own purposes, material aid which German imperialism might give them for its own purposes; it would not follow that revolutionists must work for the victory of the German army. Finnish revolutionists will not only “accept” Stalin’s nationalization but will extend and deepen and fructify it as they grow in power; but it does not follow that they should support the counter-revolutionary troops of Stalin. Capitalism itself, as Marxists have always pointed out, has found itself compelled time and again to take steps which had revolutionary consequences. “Did not the fact that Guchkov and Shulgin (Russian monarchists) brought with them to Petrograd the abdication of Nicholas II play a revolutionary role,” Trotsky once asked. The nationalization of property is not an abstraction and has no absolute merits in and of itself. “Its progressiveness is relative; its specific weight depends on the sum-total of all the other factors.” (Trotsky.) In the present war, it must be considered in its social and political context. It must be considered in the light of the character of Russia’s participation as an integral part of the imperialist war. 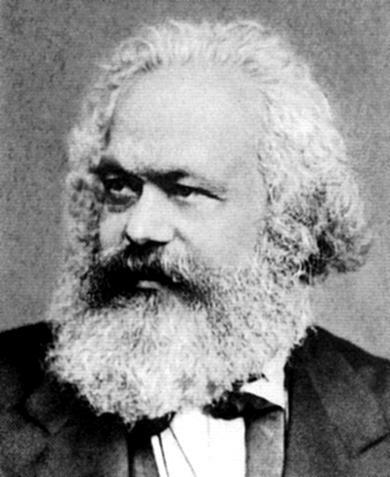 The conception that since nationalized property is “progressive by its very nature” a regime based upon it must automatically be fighting a progressive war, has as much in common with Marxism as vulgar economic determinism has with historical materialism; the conception is, at bottom, nothing but a variety of immanent idealism. To sum up briefly in conclusion: That “concrete analysis of the given instance” which Lenin demanded shows the imperative need of revising one of our traditional slogans. If, at a later stage, the present war between the imperialists should be transformed into an assault upon the Soviet Union, the slogan of defensism would have to be raised again, for it is not to the interests of the socialist world revolution and the working class to have one-sixth of the world, which the October uprising removed from the control of imperialism, restored to capitalist exploitation. In the present war. however, the world proletariat, the Russian included, cannot take upon itself a shadow of responsibility for the participation of the Stalinist bureaucracy in the imperialist conflict. The revolutionary vanguard must put forward the slogan of revolutionary defeatism in both imperialist camps, that is, the continuation of the revolutionary struggle for power regardless of the effects on the military front. That, and only that, is the central strategy of the third camp in the World War, the camp of proletarian internationalism, of the socialist revolution, of the struggle for the emancipation of all the oppressed.